Performance is very important for the career and if you don’t perform you can be sack by stating that you are non performing asset to company. 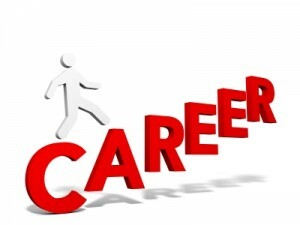 To boost your job performance we are herewith 10 tips which can help you to top your career. You may get small work or big work. Whatever work is given to you small or big accept it. Size does not matter in work but learning matters. Sometime small work also gives big learning, so whatever work is given to you complete it with whole heart. You will get two types of work one which will get completed earlier and some will take time; it depends upon nature of work/project. You should stick to timeline of project. If it is completed in advance nothing like It. Remember speed at which you deliver the work always matters. Your work strategy also matters. How many project you can handle at a time and strategy you adopt always matters. What strategy to adopt for your project should be decided in advance which will help you. Every work has particular process and one should stick to that process. Decide process of your small and big projects and follow this process by which you can manage your time well. Documentation is must for every work/ project. Documentation not only helps in knowledge building but also help in case of conflicts. Presentation style is most important skill for your job profile. Good presentation skill will help you to explain your point of view in better manner. Communication skill is also one of the factors which will affect your job performance, it is very important to develop good communication skill for success. Domain knowledge is must for every job profile. It is about knowing in and out of that domain. If you have domain knowledge it helps you to handle every challenge. Planning & execution capability is must for every project manager. If you are in project management industry you must develop this skill to become successful. Another important characteristic you must have to top the career is team work. You should be team player and must be able to work individually or in team. I am sure if you follow above tips you can top your career.